Some sobering analysis of what the Chinese have been doing with their nuclear strike forces and what it could lead to by Brigadier Vijai K Nair for The Jamestown Foundation. Coupled with its sea-based variant, the new JL-2 (CSS-NX-4) submarine-launched ballistic missile with identical performance parameters as the DF-31, China is fast putting into place a strategic missile capability that will considerably diminish the existing missile gap and cause the U.S. to review its nuclear weapon strategy. Representative Randy Forbes, who recently led a ten-member delegation to China, said on his return: "They are busy buying and building the best weapons they can. Money seems to be no object." Delegation member Jim Cooper said he was "much more worried" than before about China's rapid acquisition of offensive weaponry. Statements such as these could well signal that Washington would be initiating a response in the not too distant future – if it has not already done so. This opens the Pandora's Box of nuclear weapons dynamics. The U.S. Space Command could gain impetus to push space-based defensive and offensive strategic capabilities to the drawing board stage. Japan, which depends heavily on the U.S. nuclear umbrella and would be a partner in any theater missile defense project, may review its own national defense policy and the place for an indigenous nuclear deterrent. Meanwhile, South Korea and Taiwan, who surrendered their advanced nuclear weapons programs in the 1980s at the behest of the U.S., may well view a diminishing China-US missile gap as a threat to the latter's autonomous capacity to guarantee the traditionally accepted nuclear umbrella. In short, the ripple effect of a China-US missile race is bound to have serious repercussions not only in East Asia, but throughout the world. Read North Korea zone: Commentary: The Washington Post Should Retract Its Libya-North Korea Story and ponder this question: What will the Post do? Will they punish only low level lackeys? Or will the necks of senior executive editor types also be stretched on the block? Or will it attempt to spin the story away? What would the Post demand of a Republican administration caught in such a credibility issue? You can bet they will not demand the same of themselves. The Fisker's Whiskers highly coveted, much sought after and globally recognized Cat's Meow award..
And there was some tough competition. Once again, the Navy League has an interesting look at the future of the Navy as it moves to higher tempo ops in the littoral in this Sea Power article, Breaking the Mold. Mine countermeasures has been a pretty thankless job and it's slowness has driven many a commander to a point beyond frustration because the mine threat is such a show-stopper. It looks as if much more attention is being paid to this problem area and it's a very good thing. You can try to prove anything with statistics, even the dangers of drinking water. After all, "One hundred percent of the people who drink water end up dying." While some such misuses of statistics can be funny, some are more serious and tend to mislead the unwary. In that vein, Greyhawk at Mudville Gazette discovers some statistical fault lines within an article suggesting that "Mental Disorders Are On The Rise Among Afghanistan, Iraq Veterans" in his wonderful post The Looming Doom. He does a lot of work to prove that people who serve in the military average out as average Americans, and it's worth reading. There are between 40 and 60 incidents each day in the country, they said, sharply down from the terrorist effort in the week of the Iraqi elections in January. Even this doesn’t tell the whole story. Of those incidents, roughly half have no effect. This means terrorists launch an attack, but no lives are lost, nor is any property damaged. I'm confused by an attack that does no property damage and kills no one. What exactly happens during one of these? And at a time when the United States is accusing Iran of nuclear ambitions and pressuring North Korea, the report said: "Across the board, the intelligence community knows disturbingly little about the nuclear programs of many of the world's most dangerous actors." This will provide fodder for those who believe that the world is full of good people who just want nuclear reactors to make the lights come on and who would be just as willing to switch to wind power if they could because they will seize on the idea that the US "knows disturbingly little" to assert that the world is not dangerous because we don't have absolute proof to the contrary. But you need to separate the actual report from the Reuters spin ("at a time when the United States is accusing Iran of nuclear ambitions and pressuring North Korea"). We can apply some common sense to this matter, regardless of how "flawed" our intelligence is. It helps that the North Koreans admit to cheating on arms control agreements and to having some number of nuclear weapons. That sort of puts the "pressuring North Korea" bit from Reuters into an understandable context. It also seems appropriate to be "accusing Iran of nuclear ambitions" in that Iran seems to be intent on raising questions about what it is up to. The acquisition of nuclear warhead capable cruise missiles, coupled with its dealings with the EU on the nuclear inspection issues causes me to bump them over into a "strong suspicion of having nukes soon" category, just based on what I read in the papers. If we wait for perfect intelligence to make contingency plans on how to deal with Iran, we'd be too late if they are developing weapons. If they aren't, we just wasted some planning time. Which is the worse outcome? As for our faulty intelligence, I suspect, without having read the report yet, that an excessive reliance on sensors instead of human intelligence is involved. More later, after I read the report. Update: Cleaned up some typos and clarified that my quotes are from the Reuters article, not the Report. Update2: The Report is available from the White House here (pdf download). Also, check out Mudville Gazette for some interesting "F-UN" with Kosovo and some links to US troops currently embroiled, er, "involved" there. The U.S. Navy has dispatched two vessels to Nias island in the earthquake-struck region of Indonesia, a Pentagon spokesman said Wednesday. The USNS Mercy, a hospital ship, and the USNS Niagara Falls, a supply ship, are under way and should arrive at Nias island in six days, Lt. Cmdr. Greg Hicks said. The two vessels assisted in the recovery efforts from the December tsunami, and have since been on a humanitarian mission to East Timor. The ships were sent to Nias island in response to an informal request for assistance from Jakarta, Hicks said. A formal request for help is expected through diplomatic channels shortly. Other U.S. military assets, including aircraft and stockpiles of medical supplies, are standing by at Pacific Ocean bases if additional requests for aid are transmitted, Hicks said. Japan’s desire to send its military forces to assist in the security of the Malacca Straits, according to Koesnadi Kardi, Head of the Education and Training Board at the Ministry of Defense, is due to its own interests. “This is because almost 90 percent of Japan’s oil import trade traffic from the Middle East travels through the Malacca Straits,” said Koesnadi in Jakarta yesterday. “For a long time now, Japan has wanted to mobilize its forces to help in the patrols, but we have always refused,” he said. “We welcome Japan’s help in forms other than military forces, the reason being the sovereignty of Indonesia,” said Koesnadi. Radio Australia reports Pirates kidnap three Indonesian crew near Malaysia. Three crewmembers of a tugboat have been taken hostage by armed pirates in waters off the Malaysian state of Sabah. Malaysia's Star newspaper reports that a group fired on the Malaysian-owned "Bonggaya 91" and the barge it was towing, before boarding the vessel in the Sulawesi Sea near the Sabah district of Semporna. The gunmen fled with three of the six Indonesian crew and the tug's radio communication set. ropes. Alert crew raised alarm and boarding was averted. fishing boats were in the area at the time (IMB). pirates robbed the boats of engines and kerosene lanterns (INFO). Also, a Noregian paper reports: "Seven Norwegian vessels were attacked by pirates last year, with Indonesian waters being the riskiest on the seven seas." Details here. Update: The Philippine Navy is going after the pirates who kidnapped the Indonesian sailors near Sabah. Philippine naval forces have been sent to track down pirates who kidnapped three crewmen of a Malaysian tugboat and are believed to have fled to the southernmost Philippine islands. Chief of regional naval forces in the southern Philippines, Commodore Rufino Lopez, says naval units are checking the islands of Tawi-tawi. Three Indonesian crewmen were seized when five armed pirates boarded their vessel off Malaysia's Sabah state on Wednesday. Mr Lopez says the pirates, who are believed to be Filipinos, took their hostages on a speedboat towards Tawi-tawi. A district police spokesman says he believes the kidnappers are from the Abu Sayyaf rebel group. Captain Geronimo Malabanan, a navy spokesman, said at least three ships have been deployed in around Tawi-Tawi to "monitor and conduct negation and barrier patrol on the borders of Malaysia and the Philippines". ...Filipino pirates, who mainly operate in the southern Philippines, have in the past abducted Indonesian and Malaysian sailors for ransom. In some cases, the pirates turned over their hostages to the al-Qaeda-linked Abu Sayyaf rebel group in exchange for money. Last year, two Malaysian sailors and an Indonesian skipper were abducted off Sabah and turned over to the Abu Sayyaf. The three were believed to have either died of illness or killed by their captors. The Navy identified the three Indonesian hostages as tugboat captain Ahmad Rumiyati, 33, Yamin Labusu and Erekson Hutagul. They were seized when five gun-wielding pirates boarded their vessel, the Bonggaya 91 tugboat, off Malaysia’s Sabah state on Wednesday. Initial reports said Filipino pirates boarded the boat in Malaysian waters off Semporna in the eastern state of Sabah on Borneo island before fleeing towards Tawi-Tawi archipelago. Lopez said their initial investigation indicated the attackers were Filipino pirates. Navy spokesman Capt. Geronimo Malabanan said the Philippine Navy is coordinating with the Malaysian police over the kidnapping incident. The Bonggaya 91 was on its way back to Sandakan in Sabah from Indonesia when it was attacked and boarded Wednesday morning. Lopez said the pirates, piloting a speedboat and armed with M-16 and AK-47 rifles, intercepted the slow-moving tugboat near Mataking island, near Palau off Semporna east of Sabah. The gunmen fired warning shots as they jumped aboard the tugboat and seized three of the six crewmen. They then ripped out the ship’s communication equipment before escaping towards the southern Philippines border with the hostages. The United States had, in effect, defended itself for 18 months after September 11, 2001, then went on the offensive, carrying the war on terrorism to the homeland of most Islamic terrorists. The terrorists responded by killing a lot of fellow Moslems. The Middle Eastern nations responded by going after the terrorists. The result has been greater efforts to root out Islamic terrorism at the source. This has created something of a civil war in many Islamic nations as they finally confront the growing threat of Islamic radicalism. Meanwhile, the Islamic radicals have seen themselves beaten at every turn. The original goal of the Islamic terrorists was the expulsion of all infidels (non-Moslems) from the Middle East. Beyond that, they wanted to revive the “caliphate” (all Moslem nations united in one large entity governed by Islamic law) and convert the entire planet to Islam. Before September 11, 2001, the United States and Europeans treated the growing Islamic radicalism as a police matter. On September 11, 2001, it became clear that the police approach wasn’t working. Within three months, the United States had invaded Afghanistan and removed the Taliban from power, and al Qaeda from their bases. Al Qaeda members in North America and Europe were hunted down and arrested in large numbers. All this just made the Islamic radicals in the Middle East angrier, and eager for revenge. Then came the invasion of Iraq. Al Qaeda members, and supporters, from all over the Middle East went to Iraq to join the fight. Most of them died. Now there were more infidels than ever in the Middle East. Terrorist attacks against the infidels in their homelands were declining. Local governments in the Middle East were attacking al Qaeda wherever it could be found. Al Qaeda condemned democracy as “un-Islamic,” but free elections were held in Iraq and Afghanistan for the first time in decades. Russia is keeping at least one of its nuclear powered “battlecruisers” in service for a while. The Admiral Nakhimov, a Kirov class, 24,500 ton, warship, has begun a twenty month stay in the Severodvinsk shipyards, where the ship will receive new electronics and missiles. The Admiral Nakhimov entered service in 1988, right at the end of the Cold War, and it’s electronics are ancient by current standards, despite a 1994 upgrade. Four Kirovs were built, but only t he Admiral Nakhimov and Pyotr Velikhiy, which entered service in 1998, are still in working order. The Kirovs, in addition to their nuclear power plants, carry twenty Shipwreck anti-ship missiles and three different type of anti-aircraft missile systems (and over 250 missiles). 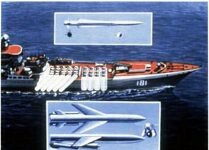 There are also anti-submarine torpedo launchers, and 30mm cannon for anti-missile and close in defense...While the upgrade can be seen mainly as a way to keep shipbuilding technicians employed, and maintain a formidable looking Russian warship in commission, a Kirov on the high seas is a warship to be reckoned with. The high speed Shipwreck anti-ship missiles have a range of 550 kilometers, and carry a 1,600 pound warhead. This missile was built to cripple an American aircraft carrier, but it would outright destroy any lesser vessels. Scott Ritter's back just as clueless as ever: "Having Screwed up my analysis of Iraq, I'll try Iran." Al Jazeera has Scott Ritter to provide the Arab street with an "inside" look at American policy and he takes another run at it in Sleepwalking to disaster in Iran . 'There is no doubt that Iran has a secret nuclear weapons production programme', Bolton said, without providing any source to back up his assertions. You should heed your own criticism, Mr. Ritter. Gasp! The President is keeping his options open and providing a little stick behind the carrot. Shocking! No, Mr. Ritter, I have another question: Are you being paid to produce this tripe? According to MPA, more than 10,000 oil tankers and 700 chemical tankers call at Singapore each year, with some 1,000 ships in port at any given time. "With the substantial amount of oil and chemicals being shipped in and out of the island, safeguarding our waters and port terminals against terrorist threats remains a top priority, MPA said. : Police or civil defence rescuers can get a bird's-eye view using a remote-controlled video camera attached to a tethered helium balloon. This mobile surveillance system, called SKeYe, is towed behind a truck in a trailer which holds the balloon and its helium tanks. SKeYe's camera gives an all-around view and can be hoisted up to 100m in the air. A night vision camera allows the user to see in the dark. - Protected vehicles: Armour plates and blast-proof glass protect vehicles from blasts and small arms fire. The modified vehicles look just like any others, as the armour is concealed. The target market is government officials, businessmen or diplomats requiring discreet protection. Making its debut outside the US is SmarTruck III, equipped with armour, tear-gas launchers and remote-controlled guns and sensors. It was developed to demonstrate the kind of technology and firepower an 'intelligent' vehicle can have. - Swimmer detection sonar: Sensors shaped like frying pans protect harbours and naval bases from hostile divers and 'other submerged threats' like midget submarines. It is ready for sale after two years of trials by ST Electronics and a United States-based partner. The sonar is smart enough to distinguish divers from shoals of fish, and is said to be ideal 'to counter threats of sabotage and terrorism to enhance harbour and coastal defence'. There's more - go see. On April 19, Sterett was at her normal station in the northern part of the Gulf of Tonkin and received orders to head south and provide anti-air support for a gun-line mission near Dong Hoi, just north of the demilitarized zone (DMZ) near Dong Hoi. Prior to April 19, air strikes had reportedly softened up the area and intelligence sources suggested that no viable enemy aircraft remained in the area. Sterett rendezvoused with the light cruiser Oklahoma City (CLG-5), the destroyer Higbee (DD-806) and destroyer Lloyd Thomas (DD-764). Sterett launched her LAMPS helicopter, to operate as an airborne spotter for the gunfire mission. At 1600 Oklahoma City, Higbee and Lloyd Thomas began their gun run against targets in the vicinity of Dong Hoi. The first pass was from north to south, parallel to the coast with a return leg back towards the north. Upon commencing their run, all three ships started to receive heavy counter fire from shore batteries. No hits were experienced on Oklahoma City, Higbee or Lloyd Thomas but many shells appeared to bracket the ships. Oklahoma City reported shrapnel damage to her superstructure from some of the near hits. Also shortly after the task group arrived off shore, several air targets were detected amongst the mountains. A single MiG 17 came out of the mountains and headed for the USS Higbee and dropped a single 250 pound bomb. It was a near miss with no damage. Sterett had two missiles on the rails and a single Terrier missile was launched towards the MiG and missed. Sterett then fired the remaining missile and downed the MiG. Higbee had experienced a hot round in her "Mount 52" after gun mount and the mount had been evacuated just prior to the MiG's second pass which resulted in a single 250-pound bomb hitting at the base of the vacated 5-inch gun mount. The bomb penetrated the weather deck and caused the ready ammunition stored below to explode and destroy the gun mount. Higbee experienced only four injuries and no loss of life. After the first MiG started it’s first bomb run, a second MiG exited the mountains and executed a 180-degree turn and headed back into the mountains. Sterett fired two missiles at this MiG and assumed a "kill" when the missile and plane disapeared from radar simultaneously. Higbee, Oklahoma City and Lloyd Thomas exited the area to the northeast, accompanied by the Sterett. Sterett was roughly paralleling Higbee’s course and making oblique course changes as they headed away from the battle area to keep Sterett's forward missile main battery unmasked.Sterett was tracking a couple of small high-speed surface tracks during this exit. As they were observing one of the tracks vertical video separation was noted. At the same time Sterett detected an electronic signature identified as a Russian SS-N-2 Styx missile. Sterett immediately fired a salvo of two Terrier missiles at the suspected Styx missile. Following the detonation of Sterett's Terrier, the missile target disappeared from radar and the ECM signature signal ceased signifying a kill. Technological improvements to the C-801/SARDINE and the C-802/ SACCADE are providing a gradual upgrade to China's current force of antiquated first generation CSS-N-1 SCRUBBRUSH ASCMs. It was reported in 1996 that Iran had begun indigenous production of a medium-range antiship missile, the FL-10, based on the Chinese FL-2 or FL7 and developed with Chinese technical assistance. I don't believe there ever was a missile launch at Sterett, although the CIC crew had every reason to believe that there had been one and they acted entirely correctly. I think we had a combination of a very confused radar environment made worse by the use of an unsuitable radar for surface search and a misinterpretation of the available data. I don't rule out the possibility of an inbound P-15 completely, but the more I look at the situation, the less likely it seems. I think the USN had good reason to disallow the claimed shoot-down. This does not change the fact that the CIC crew did a fantastic job in a very confused environment. They had an air action to fight, a crippled ship to protect and also a potentially lethal surface threat developing. Even if they didn't kill a missile, they still deserve a salute for jobs well and skillfully done. An armed clash between two rival groups of the pirates at Kokilmani area of the Sundarbans on Friday midnight left three men killed and several others injured. The dead could not be identified till yesterday noon. According to Swarankhola thana police of Bagerhat, the clash took place between the BDR Selim Bahini and the Rezaul Bahini over the supremacy and the share of booty. No, I don't know what "the supremacy" is, but it sounds like something out of Star Trek. America's adversaries are bound to draw important lessons from the performance of U.S. missile defenses against Iraq. Referring to Iraq's use of cruise missiles, the chief-of-staff of the 32nd Army Air and Missile Defense Command told the New York Times "this was a glimpse of future threats. It is a poor man's air force. A thinking enemy will use uncommon means such as cruise missiles and unmanned aerial vehicles on multiple fronts." At least two reasons account for why we should anticipate an acceleration of interest in acquiring cruise missiles and UAVs. First, countries wishing to deter U.S. military interventions were unlikely to invest heavily in cruise missiles until American missile defenses performed decisively better against ballistic missiles than they did during the 1991 Gulf War. Patriot's success against Iraq ballistic missiles in 2003 coupled with problems coping with cruise missile attacks increases the incentive to acquire difficult-to-defend against cruise missiles and UAVs. Second, America's adversaries are likely to appreciate the operational advantages of combining ballistic and cruise missiles launches to maximize the probability of penetrating even the best American missile defenses. 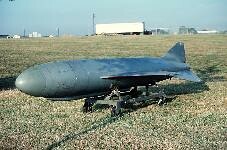 Converting small airplanes or UAVs into weapons carrying "missiles" offers a particularly attractive poor man's option. When these, in large numbers, are combined with more expensive and sophisticated ballistic and cruise missiles, they raise the stakes enormously for American missile defenses. Consider, for example, the dire and unfavorable cost-exchange arithmetic associated with current U.S. missile defenses and conceivable adversary missile threats. The guidance upgrade alone on the PAC-2 Guidance Enhanced Missile costs $400,000 per missile, and each new PAC-3 interceptor costs $3.5 million. A flock of cruise missiles or converted airplanes several orders of magnitude cheaper could readily saturate most economically feasible missile defense architectures. Thus, controlling the quantitative spread of cruise missiles and UAVs through improved nonproliferation policies is an absolute necessity to guarantee confidence in our missile defense expenditures. Saturation with cheap cruise missiles or UAVs is of less concern when we consider terrorist use of such systems against the U.S. homeland. Were an attack to involve delivery of a weapon of mass destruction, one successful strike against the American homeland—particularly a major urban target—could have devastating consequences. 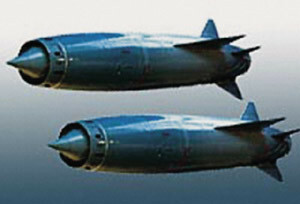 Due to its aerodynamic stability and capacity to release agent along a line of contamination, a cruise missile or UAV is much effective than a ballistic missile in delivering chemical or biological payloads (conservatively enlarging the lethal area for biological attacks by at least 10 times). Cruise missiles or UAVs might be launched from concealed locations at modest distances from their targets, or brought within range and launched from freighters or commercial container ships—in effect, a "two stage" form of delivery. Al Qaeda is believed to possess at least 15 freighters. In the aftermath of the September 11, 2001 terrorist attacks, key U.S. decisionmakers began to take such two-stage threats more seriously. 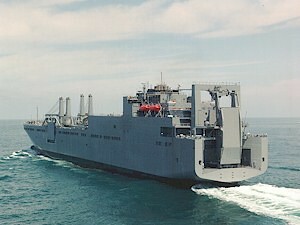 The 2002 National Intelligence Estimate (NIE) on the ballistic missile threat to the United States drew attention to the covert conversion of a commercial container ship as a launching pad for a cruise missile. Even a large, bulky cruise missile like the ones Iraq used to fire at coalition forces last year could be equipped with a small internal erector for launching and still fit comfortably in a standard 12-meter shipping container. Indeed, the 2002 NIE argues that because such a delivery system, among several others, is less costly, easier to acquire, and more reliable than an intercontinental ballistic missile, a cruise missile attack against the American homeland is more likely to occur than a ballistic missile attack. While much attention has been focused on ballistic-missile defense, the Navy has always been concerned with cruise missiles, which fly below radar, hugging the terrain or the ocean surface. The Navy faces a threat from land-attack cruise missiles as well as antiship missiles. “That is why they are pursuing a weapon that can handle both,” Zaloga said. That weapon is the Standard Missile-6 (SM-6) extended-range active missile, or ERAM. For use as an anti-air warfare and area air-defense missile, the SM-6 is expected to provide extended-range anti-air warfare capability against a multitude of targets, including aircraft, unmanned aerial vehicles and land-attack and antiship cruise missiles in flight, either over sea or land. With its active radar system, the SM-6 also is expected to engage over-the-horizon targets using a future networked fire-control data system for targeting. The SM-6 is designed to replace the Navy’s Standard Missile-2 (SM-2) Block IV surface-to-air missile, which was not purchased in large quantities because it was to be replaced by the SM-2 Block IVA that was to have anti-air warfare and theater ballistic-missile defense capability. Noel Choong, regional director of the International Maritime Bureau's Piracy Reporting Center, said no arrest of pirates have been made for several years in the northern Strait of Malacca, where the Idaten was attacked. Under such circumstances, shipping companies distrust police. 'Police believe companies will negotiate with pirates if crew members are kidnapped. Companies, police and pirates are equally balanced, unfortunately,' he added. The problem is that the Indonesian police, which patrol a wide area of water, are underequipped to fight piracy. No arrests in several years? Amazing. Meanwhile, the insurance carriers and small companies and individual boat owners pay the price. Out gunned, unmotivated and inefficient. Not an impressive resume'. -The most ignored story of the year remains port security in the U.S., or the lack thereof. -The quietest naval story of the year was the continued tracking, by coalition navies, of cargo ships belonging to Al Qaeda. What is on these ships, where are they going, and what has become of them? Iran's Cruise Missile Threat and Merchant Ships? The author (referring to the author of the piece he cites to) takes a careful look at Iran's options but most disturbing is the possibilty of a ship board launch nuclear tipped missile. But a ship board launch capability would require modifications to its merchant fleet. citing to this Global Security report and the section therein subheaded "Why Does Iran Want Cruise Missiles?" Interesting idea. The Iranians have used merchant type ships for mine laying, might they think outside the box for missile launching? More later on this. Citing U.S. officials, Middle East Newsline today reports that Iran has deployed a number of short-range and medium-range Scud ballistic missiles aboard cargo vessels, and equipped them to be launched from the ships. The ships are said to be stationed in the northern Persian Gulf and the Straits of Hormuz. The officials also said that Iran began deployment of ship-based missiles in 1997, and that several such vessels are already so equipped. US officials contend that the Shiite Muslim regime will be in a position to construct a crude but workable nuclear device at the turn of the century. The development of a "Persian bomb" is Iran's top priority, and Tehran receives technology and aid from both Russia and China, according to Pentagon officials. "We're talking about something the size of a boxcar," explained one Defense Department expert, "but with the Iranians, a truck or a merchant ship can be a weapon-delivery system." Defense Secretary Donald H. Rumsfeld, as we noted in this space last week, warned about the danger of ship-launched, short-range missiles in a recent speech. He said a Middle East nation tested a missile from a merchant ship in the late 1990s. The nation was Iran, which has close ties to North Korea in the area of missiles. Air Force Gen. Ralph Eberhart, commander of the U.S. Northern Command, also said recently that the danger of ship-based missiles is growing. "I believe it's just a matter of time until the terrorists try to use a ... maritime attack against us," he said. "I believe that attack could come in terms of bringing a ship into port, whether it's [carrying] high explosives or whether it's weapons of mass destruction." A state that wants to attack the United States with only a few nuclear weapons need not do so with ICBMs. There are various stealthy ways in which a nuclear weapon could be placed on or near US territory. A short-range missile could be fired from a 'merchant' ship offshore. This possibility was considered in the Rumsfeld Report and has been brought up in discussions to emphasize how soon the threat could arrive. A surprisingly large fraction of US cities are within range of such an attack and the current NMD proposals would offer no defense against it. Potential adversaries would need to obtain single-stage solid-fuel missiles because stealthy deployment of a liquid-fuel missile and its supporting paraphernalia on a disguised merchant ship is not practical. Neither North Korea nor Iraq has solid-fuel missiles. Here's a macabre defense quiz for the post-September 11, 2001, world: Which kind of attack on the United States is more likely over the next 20 years - a ballistic missile launched from another continent, or a low-flying cruise missile or rocket fired by terrorists from a ship off the U.S. coast? For me, the answer unfortunately is a no-brainer. The more plausible threat is the short-range cruise missile or rocket attack, not the distant intercontinental ballistic missile (ICBM). The latter is the old cold-war paradigm of what could get Americans killed; the former is an all-too-believable image of what terrorists could do today, using missiles bought on the black market and homemade chemical or biological warheads. Octopuses Seen Walking From Predators. Two individuals of O. marginatus from Indonesia wrapped six arms around themselves, looking like a coconut on the sea floor. They then used the two rear arms to move backward. In Australia, O. aculeatus was seen raising two arms above its head before lifting four more and moving backward on the two remaining arms. The researchers described it as looking like "a clump of algae tiptoeing away." I, though a diver for many years, have never seen "algae tiptoeing away" so I will have to take the researchers' word for it. Octopi are supposed to be relatively intelligent, so using any means available to escape isn't too shocking. Two Republican lawmakers promised Thursday to try to ease U.S. restrictions against Cuba, saying tourism and trade can do more to undermine Fidel Castro's hold on the country than current U.S. policy. Let's wait until Castro dies. My Way News reports that the UN's World Food Program is soliciting food for the starving masses of North Korea, where apparently the elderly, women and children are the last in line to get food from any other source. This is a semi-annual food raising event, sort of like an NPR fund-raiser. The elderly apparently need vegatable oil to wash down their "corn porridge and acorns." The North has relied on foreign aid to feed its 24 million people since disclosing in the mid-1990s that its state farm system had collapsed after decades of mismanagement and the loss of subsidies from Moscow. It is unclear exactly how many North Koreans have starved to death as a result of the "mismanagement" of their seemingly well-fed dictator and his cronies in power. Maybe if they run a bargin sale on No-dong missiles or other weapons systems the DPRK can raise enough money to buy some food for its people - they have virtually no other exports except weapons. The Navy is sending Congress a long overdue, 30-year shipbuilding plan that projects a fleet that could range from 260 to 325 ships, the service's top acquisition official said Wednesday. The Department of the Navy's vision for military transformation, known as Sea Power 21, rests on three key concepts: Sea Strike, Sea Shield, and Sea Basing. The first two concepts focus on improving the Navy's and Marine Corps's offensive and defensive capabilities, respectively. But the third, Sea Basing, is considered by many in the Department of Defense to be the most transformational of the three ideas. It envisions putting a substantial Marine Corps ground force on shore and sustaining it from ships at sea rather than from a land base. 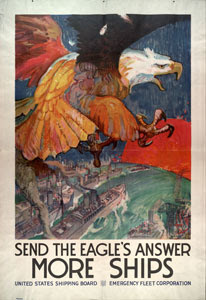 Thus, the Navy and Marine Corps could conduct amphibious assaults (including "forcible-entry" operations, like those conducted on Japanese-held Pacific islands during World War II) without needing to seize enemy territory to build a base or to get permission from a nearby country to use an existing base. Supporters argue that sea basing would therefore allow U.S. forces to operate overseas more independently, flexibly, and quickly. Although the entire fleet would play a role in the "sea base," the most important vessels for that concept are the Navy's amphibious warfare ships--which carry marines and their equipment--and new prepositioning vessels intended to provide much of the logistics support for Marine Corps units operating on shore. (1) Over the next 30 years, the Navy plans to replace most of its amphibious ships as well as buy the new class of logistics ships, which it calls the Maritime Prepositioning Force (Future), or MPF(F). Update: GlobalSecurity take on "sea base." and from the United States Naval Institute series on "Sea Power 21" this on "sea basing"
Sea Basing is the core of "Sea Power 21." It is about placing at sea—to a greater extent than ever before—capabilities critical to joint and coalition operational success: offensive and defensive firepower, maneuver forces, command and control, and logistics. By doing so, it minimizes the need to build up forces and supplies ashore, reduces their vulnerability, and enhances operational mobility. It leverages advanced sensor and communications systems, precision ordnance, and weapons reach while prepositioning joint capabilities where they are immediately employable and most decisive. It exploits the operational shift in warfare from mass to precision and information, employing the 70% of the earth's surface that is covered with water as a vast maneuver area in support of the joint force. 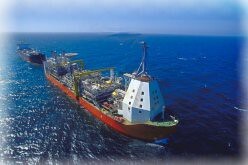 China's serious oil business: CHINA'S CNOOC, CONOCOPHILLIPS INK CONTRACT TO BUILD FPSO VESSELS. CNOOC (China National Offshore Oil Company) Limited recently announced that the company and ConocoPhillips China Inc. (COPC), the cooperative partner of Penglai Oilfield 19-3, had signed a contract with the China State Shipbuilding Corporation (CSSC) for building a super large 300,000 DWT (Dead Weight Ton) floating, production, storage and offloading (FPSO) vessel for the Penglai Oilfield. It is the biggest FPSO hull that to be built in China. According to CSSC, the contractual value involved will be about US$230 million, the biggest ever inked by a Chinese shipbuilder for building a single vessel. Penglai 19-3 Oilfield, the largest offshore oilfield in China, has commenced in the southern Bohai Sea. The oilfield, with reserves of 600 million tons, is believed to be the second-largest complete oilfield after the famous Daqing Oilfield, which was discovered in 1959 in northeast China. The Penglai 19-3 Oilfield covers an area of 50 square kilometers, and lies at a depth of between 900 and 1,400 meters near Longkou coastline in Shandong Province. It has an oil layer of 150 meters deep on average. Much more attention is being given in the press now to the possibility of terrorists using or pirating ships for either smuggling and transportation, or as actual attack vehicles. An intelligence source said the threat should be kept "in proportion." But only last week, a captured militant from a Qaeda affiliate in the Philippines claimed he and other jihadis took diving lessons to prepare for a seaborne attack. A senior Homeland Security official said the administration doesn't want to take "the risk of not doing something to protect against a waterborne assault." Update: Prior post on Al Qaeda divers. Update2: The Counterterrorism Blog refers to a James Dunnigan post on the capture of Al Qaeda in the Persian/Arabian Gulf which was the subject of this post which linked to this article from The Peninsula from Qatar, to which I was referred by The Counterterrorism Blog. Small world. Colombia's Department of Administrative Security says the submarine would have been used to evade radar and naval patrol ships, taking drugs out to sea where they could be transferred to high-speed motorboats for the journey to Central America and on to the United States. "The ingenuity of drug traffickers is amazing. They will seek any way to avoid the coast guard," Eduardo Fernandez, head of Colombia's secret police in Valle del Cauca state, told the Associated Press. Sometimes CNN is so clueless... After a couple of weeks of revised Malaccan pirate attacks,CNN Money runs this headline: After tsunami, fears of a piracy resurgence. Duh. "It's going to get worse because the money from piracy is so good," said the managing director of a Singapore shipping company whose ships have been ransacked by bandits in the past and who has negotiated with pirates for the release of abducted crew. "All they have to do is pirate three or four vessels a month. Each averages about $100,000 for them, so they can bring about $4 million a year. That's a lot of money and they can well afford to pay people off," said the shipper, who declined to be identified. Security experts and shipping executives say the attacks expose failures in coordinated patrols that began in July by the Indonesian, Singapore and Malaysian navies, and highlight the need for tougher -- possibly international -- intervention. "You'd have to say that clearly patrols are not working," said as Michael Richardson, a researcher at the Institute of Southeast Asian Studies and author of a book on maritime security in the Strait called "A Time Bomb for Global Trade." Singapore, which relies on sea trade for seven percent of its economy, retched up warnings of possible links of piracy and terrorism after uncovering a plot in 2001 by the militant Jemaah Islamiah network to attack U.S. naval ships in its waters. Its authorities talk of one particularly deadly scenario -- a tanker ship laden with liquefied natural gas or lethal chemicals hijacked by terrorists and used as a "floating bomb" against its port, killing thousands and choking world sea trade. That nightmare is unlikely, says Richardson. "When you think about it, pirates essentially have a criminal and profit motive. Terrorists have political objectives in mind and they would not in my view make comfortable bedfellows." Let me make it clear that I distinguish between pirates and terrorists. However, the risk is that terrorists will learn from pirates and use the same techniques to capture a ship or two and use them for their own nefarious purposes, not that the garden variety pirate wil suddenly convert to being a terrorist. Update: Did the headline change or am I just imagining it? From the New York Times Magazine a tale from 2000 -Bandits in the Global Shipping Lanes . According to Sea Power the monthly magazine of theNavy League. Navy programs that avoided the budget ax include efforts key to the service’s transformation efforts, including the Littoral Combat Ship and the conversion of Ohio-class submarines to fire conventional missiles and ferry special operations forces. Yet many defense strategy experts see a clear pattern in the budget cuts that suggests traditional Navy modernization programs are not in step with Rumsfeld’s new vision of the future U.S. military. His focus on new types of threats is several steps beyond the emphasis on force transformation that was a major priority in the first four years of the Bush administration. But he wants the military to be ready for more dynamic and frightening scenarios than those in the recent past. That vision was spelled out last year in the 2006 Strategic Planning Guidance that recast into four categories the types of threats the U.S. military should prepare to face: conventional, irregular, catastrophic and disruptive. Of these threats, the U.S. military is well prepared to deal with only one: an adversary that attacks with conventional air, sea and land forces. Rumsfeld and key deputies — including Ryan Henry, principal deputy undersecretary of defense for policy, and James Thomas, deputy assistant secretary of defense for plans — have warned that they intend to pare back investments in weapons programs where the U.S. military enjoys a comfortable “overmatch” against potential adversaries. The goal is to redirect funding to improve capabilities against a wider range of challenges, including “irregular, catastrophic and disruptive” threats. Hmm. Maintain a vigilant watch. Update: More on this at Power and Control. Hat tip: Instapundit. Iran tested the new liquid-fuel Shihab, termed Shihab-3A, twice in 2004. In the first test in August, the sources said, the missile did not fulfill expectations. But the second test, which took place in September, marked the greatest success of the Shihab program. The sources said the Shihab-3A reached a range of 1,700 kilometers, by far the longest distance of the missile. Let's see, that's a little over 1000 miles. I wonder what message they are sending? Hat tip: Regime Change Iran. Update: Info on Shahab-3. Looks like a super Scud. Your typical city dweller doesn't know just how much coal and uranium he burns each year. On Lake Shore Drive in Chicago - where the numbers are fairly representative of urban America as a whole - the answer is (roughly): four tons and a few ounces. In round numbers, tons of coal generate about half of the typical city's electric power; ounces of uranium, about 17 percent; natural gas and hydro take care of the rest. New York is a bit different: an apartment dweller on the Upper West Side substitutes two tons of oil (or the equivalent in natural gas) for Chicago's four tons of coal. The oil-tons get burned at plants like the huge oil/gas unit in Astoria, Queens. The uranium ounces get split at Indian Point in Westchester, 35 miles north of the city, as well as at the Ginna, Fitzpatrick, and Nine Mile Point units upstate, and at additional plants in Connecticut, New Jersey, and New Hampshire. ...It must surely be clear by now, too, that the political costs of depending so heavily on oil from the Middle East are just too great. We need to find a way to stop funneling $25 billion a year (or so) of our energy dollars into churning cauldrons of hate and violence. By sharply curtailing our dependence on Middle Eastern oil, we would greatly expand the range of feasible political and military options in dealing with the countries that breed the terrorists. The best thing we can do to decrease the Middle East's hold on us is to turn off the spigot ourselves. For economic, ecological, and geopolitical reasons, U.S. policymakers ought to promote electrification on the demand side, and nuclear fuel on the supply side, wherever they reasonably can. I'm reading their book, The Bottomless Well: The twilight of fuel, the virtue of waste, and why we will never run out of energy (Amazon info). Book report later. But I understand we have a goodly amount of uranium available. The new National Defense Strategy has a sort of critic in Tom Donnelly of the AEI in The Pentagon's New Plan. 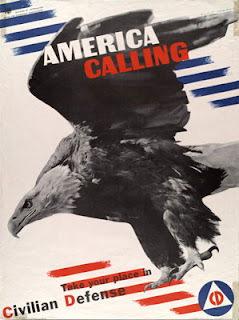 America is a nation at war. We face a diverse set of security challenges. Yet, we still live in an era of advantage and opportunity. We also possess uniquely effective military capabilities that we are seeking to transform to meet future challenges. As directed by the President in his 2002 National Security Strategy, we will use our position "to build a safer, better world that favors human freedom, democracy, and free enterprise." Our security and that of our international partners-our allies and friends-is based on a common commitment to peace, freedom, and economic opportunity. In cooperation with our international partners, we can build a more peaceful and secure international order in which the . sovereignty of nations is respected. The United States and its allies and partners have a strong interest in protecting the sovereignty of nation states. In the secure international order that we seek, states must be able to effectively govern themselves and order their affairs as their citizens see fit. Nevertheless, they must exercise their sovereignty responsibly, in conformity with the customary principles of international law, as well as with any additional obligations that they have freely accepted. Only a committee could assemble a document like this. The year 2005 will see the Balkans return as one of the top issues on the international agenda by reason, once again, of the uncertain situation in Kosovo. Imagine what another six years of UN control could bring. Japan's Prime Minister, Junichiro Koizumi, has urged Asian countries along the sea lane through the Malacca Strait to set up a co-operative framework to prevent pirate attacks. However, Mr Koizumi says such a framework would be difficult because it concerns the sovereignty of the countries concerned. ''But Japan cannot do it alone, and we will have to set up a mechanism of close cooperation and support with the countries concerned,'' he said. The narrow 960-kilometre-long Malacca Strait is bordered by Malaysia, Singapore and Indonesia. "When you are in turnaround season, you do have a lot of contractors on site -- more than usual,' Stephens said. 'One thing that a lot of people don't understand is that one of the most dangerous things that we do is when we bring units up and down. The best thing is to keep them maintained and running." Asahi reports $200,000 ransom handed to pirates. Ransom negotiators familiar with pirates operating in the strait had expected the kidnappers to settle for around 10 million yen for each captive. According to the sources, the pirates agreed to charge the same ransom for all hostages regardless of nationality. The lesser amount finally agreed to represented about one-third of what the pirates initially demanded, the sources said. The freed hostages told reporters Tuesday at a hotel in Malaysia's Penang island that the pirates claimed to be ``fighting for independence.'' The pirates are believed to have used 12 fishing boats-seven to ferry the hostages to a hideout after the attack, and five to return them. Ten were hoisting the Indonesian flag, adding to speculation the pirates were Indonesian nationals. Malacca piracy: High pay (on a local scale), apparently low risk. Expect to see more kidnappings to come in these waters. knots. Mayday calls were sent and the Panamanian freighter (ROYALPESCADORES) and a P-3 Orion responded, while the yachts stayed in communication with Coalition forces at German HQ in Djibouti. The attacking vessel was described as one of three dhows, probably wooden, with bright blue and orange plastic covering cargo, possibly identical to the ones described in the 8 Mar attack, below. Shots were fired when the pursuing dhow was at a distance of a half mile, but soon gave up the chase and turned toward the Yemeni coast (Latitude 38). underway in position 13:28N, 048:07E, approximately 30 miles off the coast of Yemen. Two fast boats, with four men in each, opened fire on the yachts, aiming at the cockpits. (MAHDI) returned fire, wounding 1 of the pirates, and (GANDALF) rammed the boat trying to come alongside to board, while shots were fired at the boat's intending boarders. Description of pirate boats: 30 ft long, blue hulled rib cage with outboard motors. The yachtsmen involved believe an earlier approach by four boats may have been part of a pirate picket line. 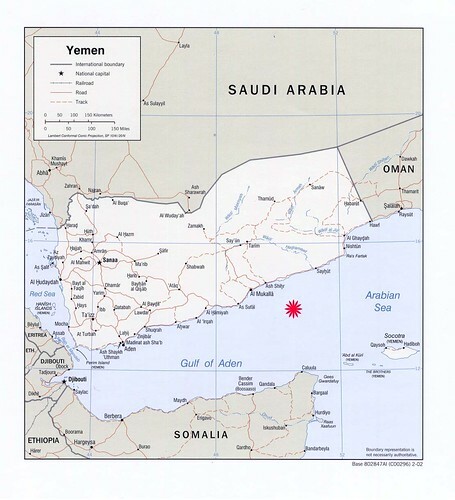 Since the boats were observed proceeding from the Yemen coast the yachtsmen tend to doubt they are Somali pirates, according to details reported 16 Mar (IMB, INFO). Good idea for the yachts to travel in convoys. It's also comforting to note in all the recent incidents in the Gulf of Aden how rapidly coalition forces are responding to observed threats and calls for assistance. For some thoughts on the sovereignity issue, see here. Texas City Refinery Erupts Into Deadly Massive Explosion (slideshows of damage at the site). BP Amoco plant, produces about 3% of US total refined product. Several people die. Emergency crews were going through the rubble, which included more than half-a dozen burned-out vehicles. The Texas City facility is one of five BP refineries in North America. The unit produces 30 percent of BP's North American supply and three percent of the U.S. supply of refined petroleum products. My sympathy to the families of the dead, to the injured and their families. Update: Texas City has seen worse, a noted here, but any such accident is one too many. Internationalizing the Malacca Strait's Security? separates peninsular Malaysia and Indonesia's island of Sumatra. Singapore only, Kuala Lumpur said. pipeline and 15 times greater than flows through the Panama Canal. group's spokesman, Sofyan Daud, has denied any such connection. vessel with the intention to hijack and use it as a floating bomb? the intention of the hijackers was to kill as many people as possible. strait to disrupt traffic flows within the waterway. and maritime terrorism - but much more needs to be done. pollution and the possible risk of attacks on onshore facilities. prevention, reduction and control of pollution from ships". security in the Malacca Strait. the formation of a regional coordinating center could be envisaged. strait in the event of future acts of piracy or maritime terrorism. But nations do not usually willingly give up sovereignty. So far the countries along the Strait have resisited "assistance" offers from the U.S. and Japan. Why should they accept a rather broad reading of Article 43 of UNCLOS which might allow for international enforcement of anti-piracy/anti-terrorism laws in their home waters? ABOARD USS BONHOMME RICHARD, At Sea – After answering a bridge-to-bridge distress call from a Kuwaiti fisherman Feb. 17, multipurpose amphibious assault ship USS Bonhomme Richard (LHD 6) (BHR) chased two pirate boats away from a group of fishing dhows in the Northern Arabian Gulf. BHR received the call when a fishing boat was seized by a group of pirates in Boston whalers. Bonhomme Richard made best speed in pursuit of the pirates, chasing them away from the group of dhows. According to BHR Commanding Officer Capt. J. Scott Jones, just the presence of the big deck amphibious ship was enough to scare the bandits away. “With 44,000 tons of combat power chasing after them, they got out of there in a hurry,” Jones said. The San Diego-based ship is currently supporting maritime security operations around oil terminals that are vital to Iraq’s economy, and serving as one of the many maritime interception operations platform to detect, deter, and disrupt terrorist threats at sea. 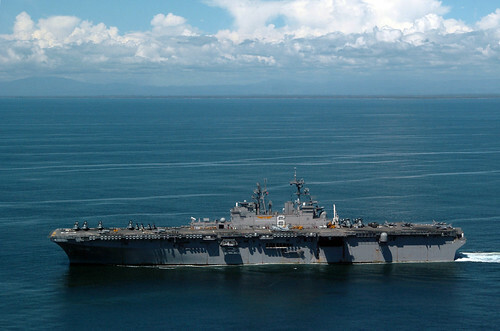 Bonhomme Richard, the Flagship of Expeditionary Strike Group Five, is currently operating in the Northern Arabian Gulf in support of the sovereign government of Iraq and the maritime effort against terrorism. If 44,000 tons of anything comes after me, I'm leaving, too. 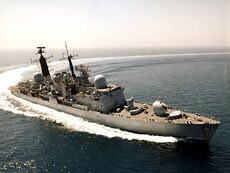 15.03.2005 at 0531 UTC in position 14:20N - 050:50E, Gulf of Aden. Three speedboats with four persons in each boat approached a RORO ship underway and persons inside attempted to board. Crew activated fire hoses, sounded whistle and warned ships in vicinity. One boat was yellow in colour and the other two were brown. 16.03.2005 at 0400 UTC in position 12:45.35N - 051:33.18E, Somalia. Three armed pirates in a boat hijacked a fishing vessel underway. They directed the fishing vessel to come closer to Somali coast. Pirates held the 26-crew members as hostage for a ransom. IMB piracy reporting centre alerted coalition ships in the area who rescued the vessel and the crew and apprehended three pirates. 15.03.2005 at 1330 UTC in position 11:59.1N - 051:16.6E, Somalia. Three pirates armed with guns in a white hull speedboat chased a general cargo ship underway and fired upon her. Crew raised alarm, activated fire hoses, increased speed and took evasive manoeuvres. After 30 mins pirates aborted attempt and fled. "DTG 111036Z MAR 05 - SPECIAL WARNING NUMBER 122. EAST AFRICA. INTENDED TARGETS OF THE MARITIME ATTACK." The State Department message was coordinated with other U.S.
safety of small craft in those waters. See my previous posts on this here and these three: worrisome pattern, asymmetic warfare, and escorts in particular. Update: US Navy press release on recapturing of a Thai fishing vessel in the Gulf of Aden by Coalition forces. 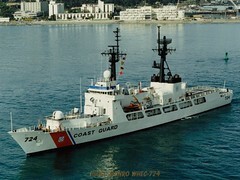 Commander, U.S. Naval Forces Central Command (COMUSNAVCENT) received telephone reports from the International Maritime Bureau’s Piracy Reporting Center in Kuala Lumpur, Malaysia, concerning the hijacking of Thai-flagged fishing vessel Sirichai Nava 12 by three Somali crew members the evening of March 16, as well as a fax indicating that the hijackers demanded $800,000 in ransom for the vessel’s crew. 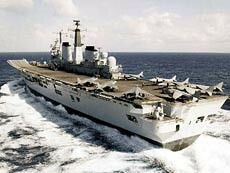 Commander, Combined Task Force (CTF) 150, under the direction of COMUSNAVCENT, tasked British Royal Navy aircraft carrier Invincible, destroyer Nottingham and Munro to investigate the situation. A Visit, Board, Search and Seizure (VBSS) team from Munro boarded Sirichai Nava, while a boarding team from Nottingham boarded a second fishing vessel, Ekhwat Patana, which was with the Thai vessel. Munro’s boarding team detained the Somalis without incident. One of the crew members of the Thai vessel had a minor flesh wound, which was treated by the Munro boarding team. The Coast Guardsmen also discovered four automatic weapons in the pilothouse, expended ammunition shells on the deck of the vessel, as well as ammunition on the detained suspects. The three suspects were transferred to Munro pending follow-on disposition guidance from higher authority. In case you just haven't been paying attention: "Shipping may be terrorists' next target"
An Australian reporter catches on in "Shipping may be terrorists' next target"
Marine terrorism is a red button issue in South-East Asia with the Straits of Malacca of particular concern. Up to a third of world trade and half its oil supplies pass through the narrow channel each year. 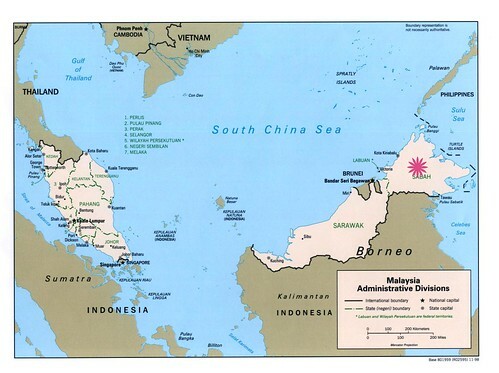 However, Singapore, Malaysia and Indonesia have rejected US offers of assistance to help secure the waterway. THE investigation department of the TT Club, Signum Services, has issued an alert about a smuggling operation in south-east Asia, in which containers are given fake identities. The gang obtains a container from a shipping line in the usual way but loads contraband cargo into it. The cargo is declared as something else and is ostensibly destined for a distant port. But the container has to be transhipped at a specified transit port in a third country. It is this third country that is the true destination of the contraband. In the third country, the gang obtains a second container from which it removes all identity marks, and replaces them with ones corresponding to the first container. It is then stuffed with the cargo as originally declared. A shipping line seal is then attached in the usual way. Although it is similar in appearance, its number does not correspond with the one shown on the shipping documents. After the first container has arrived at the transit port, the second container is brought illegally into the port area and switched for the first one. Fake release documents are also created to enable the first container (with the contraband cargo) to be removed. The second container is then picked up by the intended vessel and shipped to its destination. Should anyone notice the seal change, an inspection of the contents will show that they are in conformity with the bill of lading. Signum points out that the scam can only work with the connivance of several people at the transit port. It is thought that the change of the second container's identity takes place in workshops that also deal with legitimate container repairs, since all the numbers (including the ones on the roof) are replaced in a professional manner, so that they appear genuine. Interesting. If there's money it in, there's a way to get it done. ANWR which picture is right?